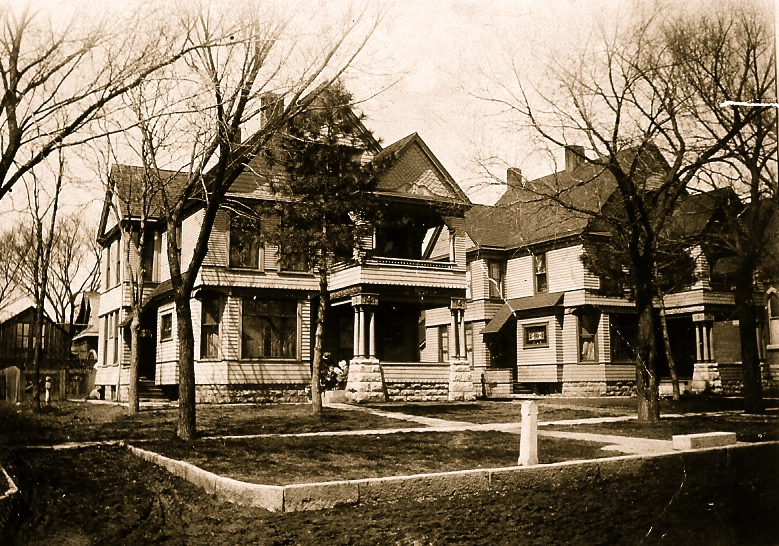 A block from the Cross House, architect Charles W. Squires built two nearly identical houses; The Twins, as I call them. Number 613 is to the south, and 617 is to the north. 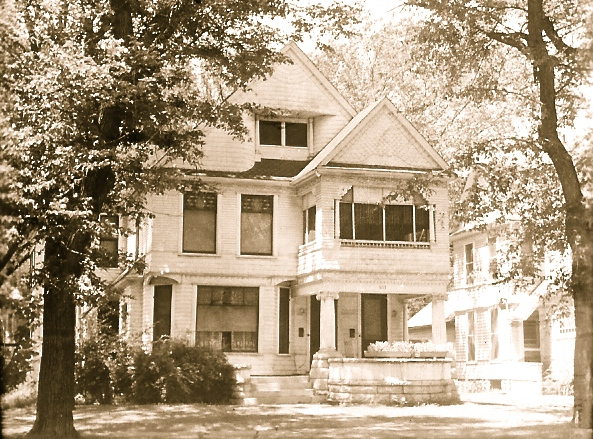 613 was was built by Squires as his home. It was later converted into an up/down duplex with a third unit in the rear. This conversion, is seems, was done by Squires. Squires lived in the lower unit until his passing in 1934. 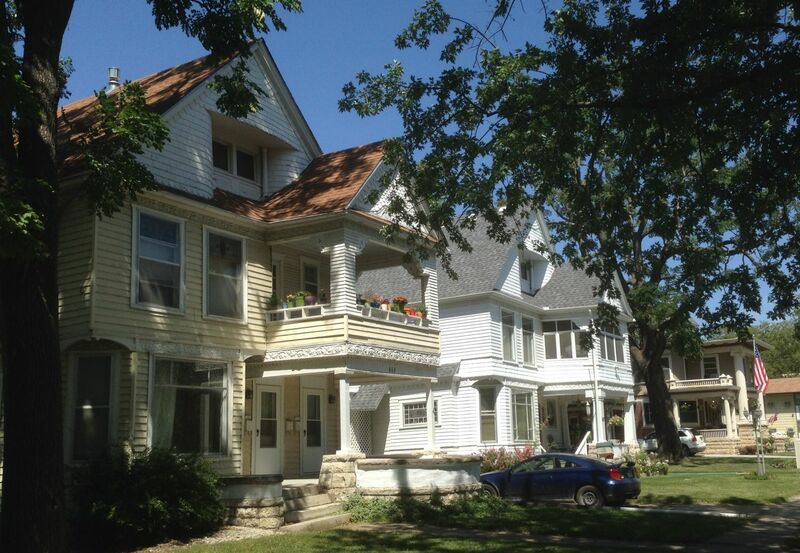 617 was built as a single family, as it remains today. This is an extraordinary image showing the twins in their original form. 613 is on the left. Image Lyon County Historical Society. Both twins had triple columns. Note also the highly eccentric “boxes” just above the columns, and the shingled, flat wall below. By 1948 the triple columns were gone on 613, and replaced by over-scaled columns with scamozzi capitals. 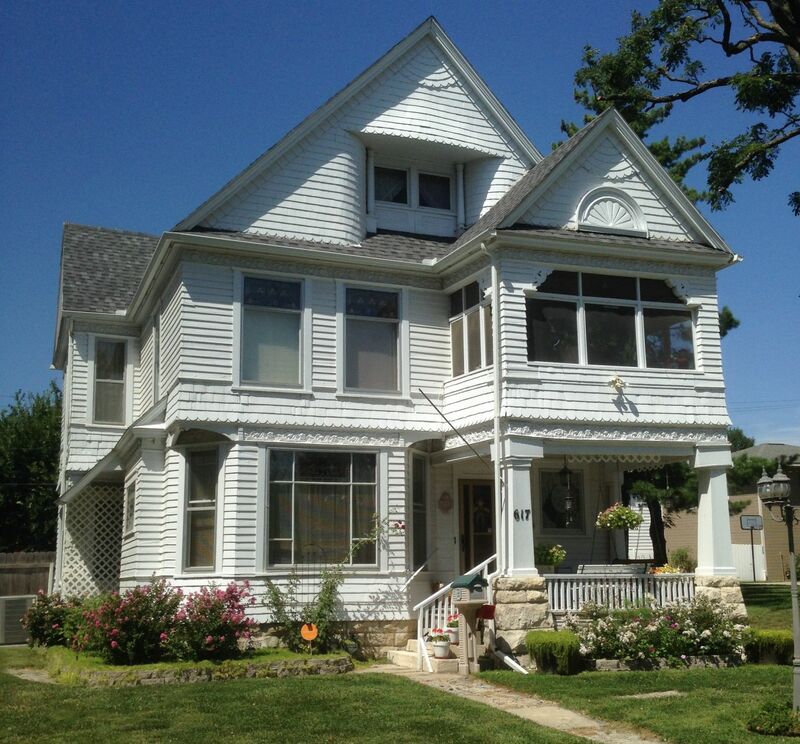 Note also how the front of the porch has been changed to a sweeping curve, and the stairs relocated. As Squires lived in the house until 1934, he was likely responsible for these changes. Image Lyon County Historical Society. 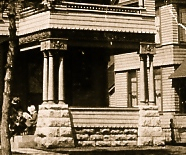 Over-scaled columns with scamozzi capitals on 1214 Exchange, a house certainly by Squires. Today, even the replacement columns are gone. Oh, the house on the far right is also by Squires. As is the house directly across the street. At 617, the original triple columns are also gone. I am VERY curious as to what is under the boxy panels just above the columns. 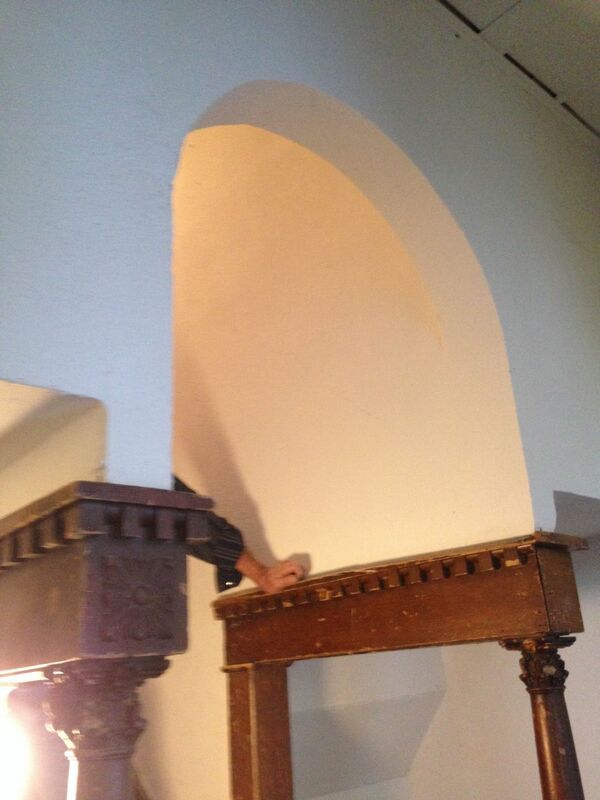 Is the original detailing hidden under????????? The caretaker for 613 graciously allowed me access to the entry of 613, leading to the upper unit of the duplex. I did a quick drawing. The entry of 613 is extraordinary. It is very small, compressed, but rich with spatial cleverness and gorgeous details everywhere. Indeed, per square foot, the space is perhaps the most complex of any I have ever been in. It is abundantly clear that THIS was the home of an architect, who lavished all his creative abilities to create an unforgettable space. I felt both thrilled and honored. Yet…this extraordinary space is not original. 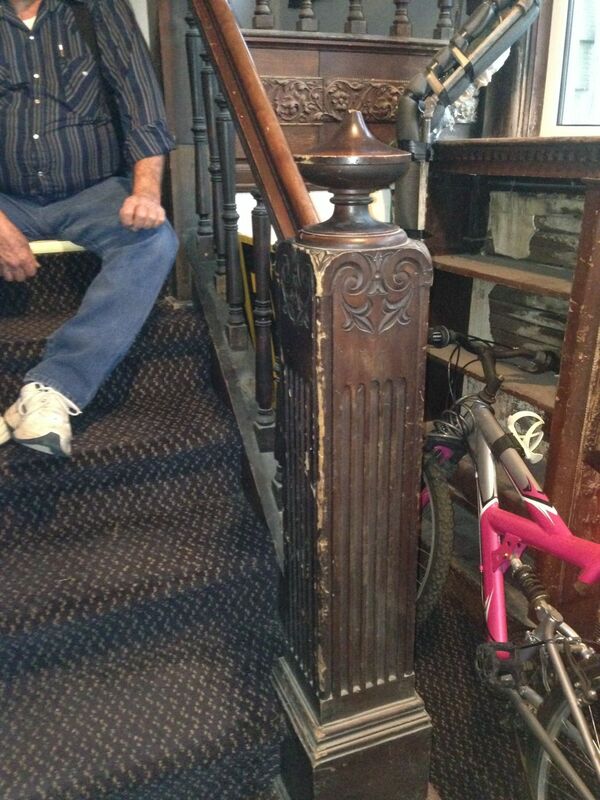 When 613 was duplexed the original stair was reconfigured. I will do a later post on the original configuration. The space is also, distressingly, battered. Incredibly so. Decades of rental use has meant that people have casually leaned their bikes against fine interior trim, and moved countless sofas and chairs and stoves through the compressed space and around tight angles resulting in gouges, dents, chipped-off details, and missing bits. I felt an overwhelming sadness at this plight but nonetheless amazed/delighted that most everything remained, and could be restored. My fear is that a later owner will simply gut the space, and replace everything with Home Depot banality. I shudder at the thought. Looking up the stairs. To the right is a built-in bookcase with missing doors. 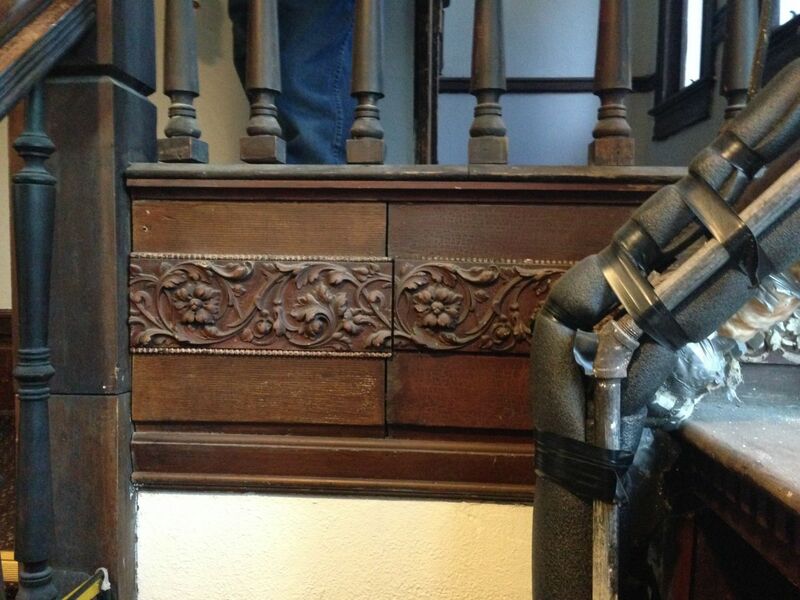 The very top of the newel post has been snapped off. To the left of the stair is a stunning, extraordinary detail: Three INTERIOR windows (the middle window has been covered with mirror tiles). 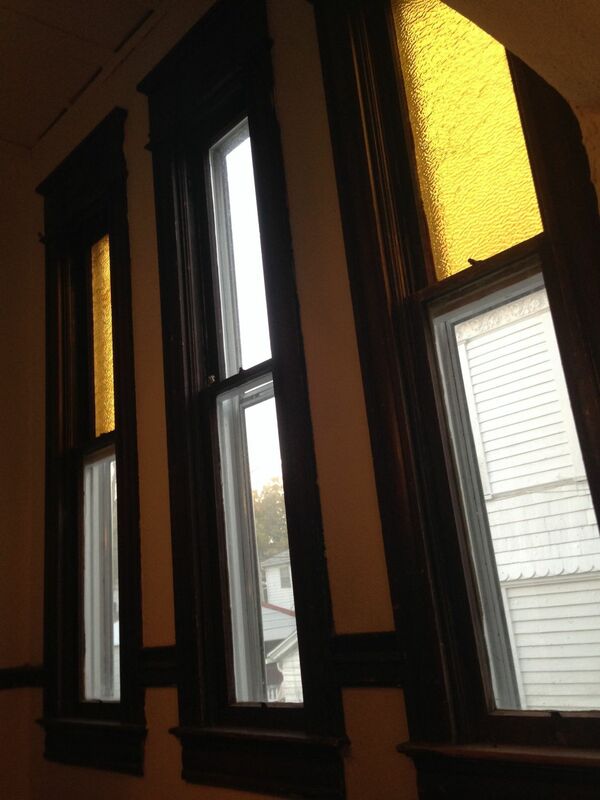 This would have allowed natural light to spill into the adjacent foyer to the first-floor apartment. But this wall is not original and is part of the duplex alteration. Gorgeous, gorgeous details. 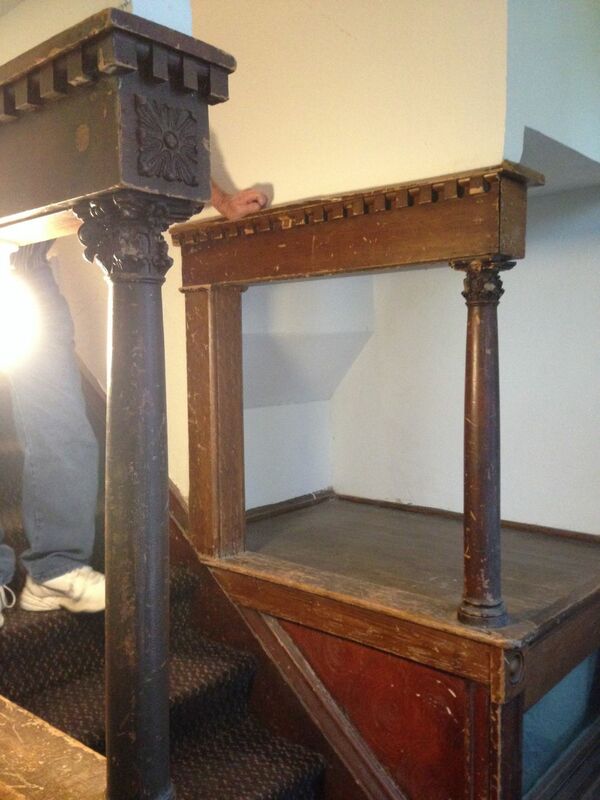 This corner of the stair comes apart so that large furnishings can be easily removed. However, it does not appear that many people took advantage of this thoughtful touch built in by Squires during his alterations. 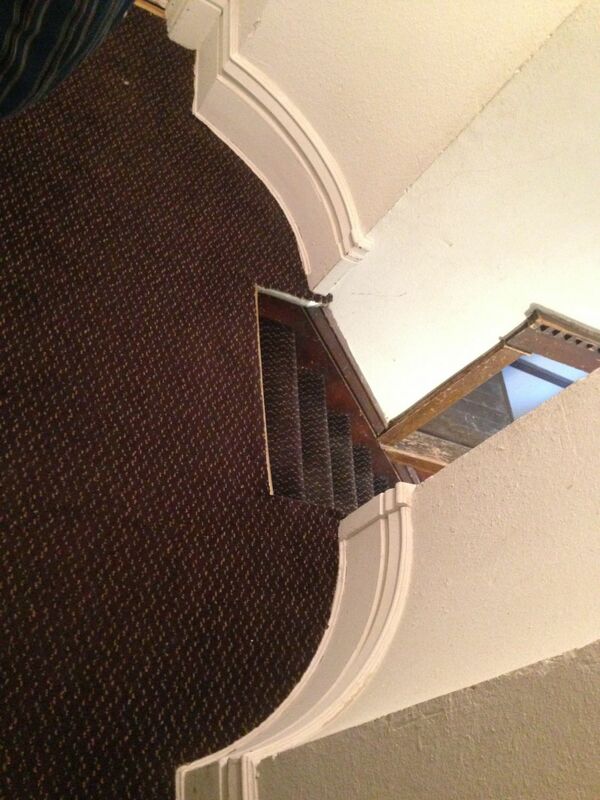 They likely never even realized that the stair COULD be dismantled. 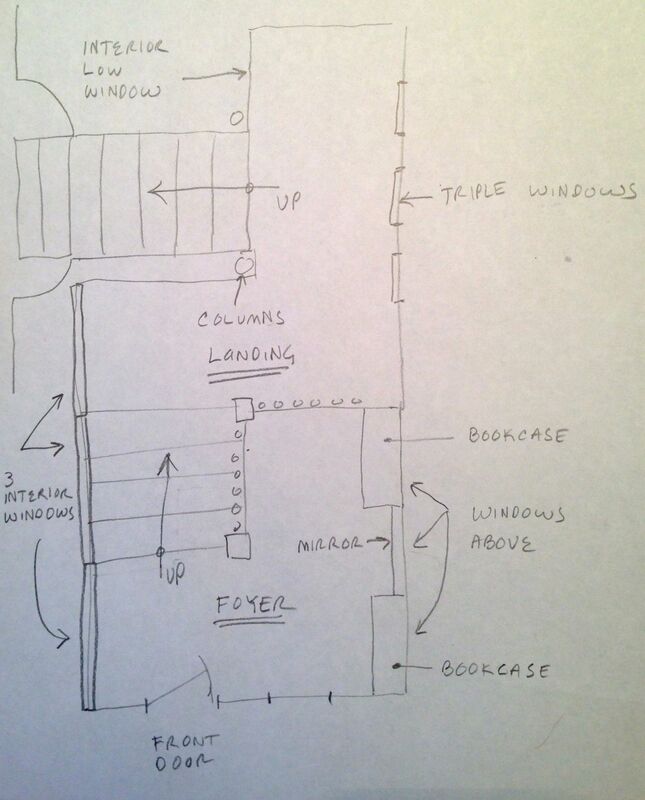 On the upper landing are triple windows, VERY tall and VERY thin. Thrilling in person. 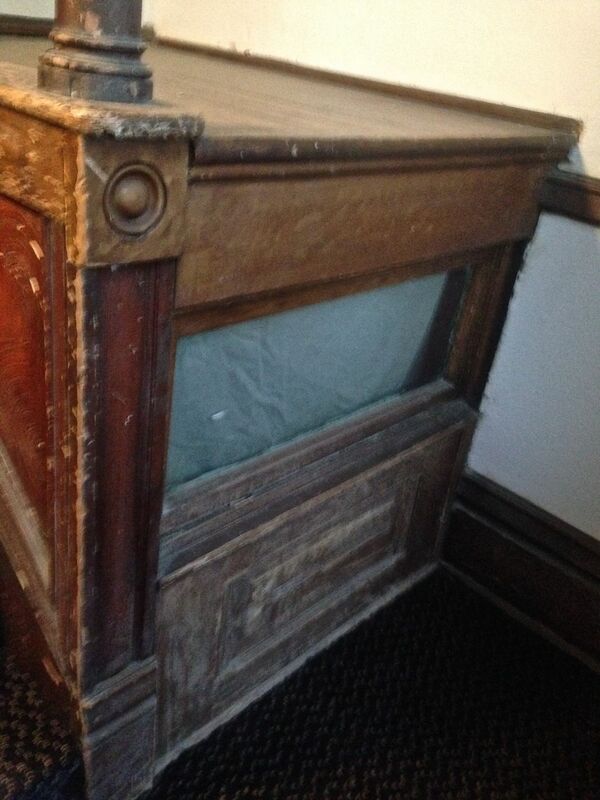 One longs to know what kind of glass they originally contained. On the landing, when you turn to the left, is a stunning and highly theatrical architectural set piece: delicate twin columns with an arch above. I was agog. Agog! Notice, too, how battered the poor capitals are. Ouch! Oh, see the very bottom right of the image? 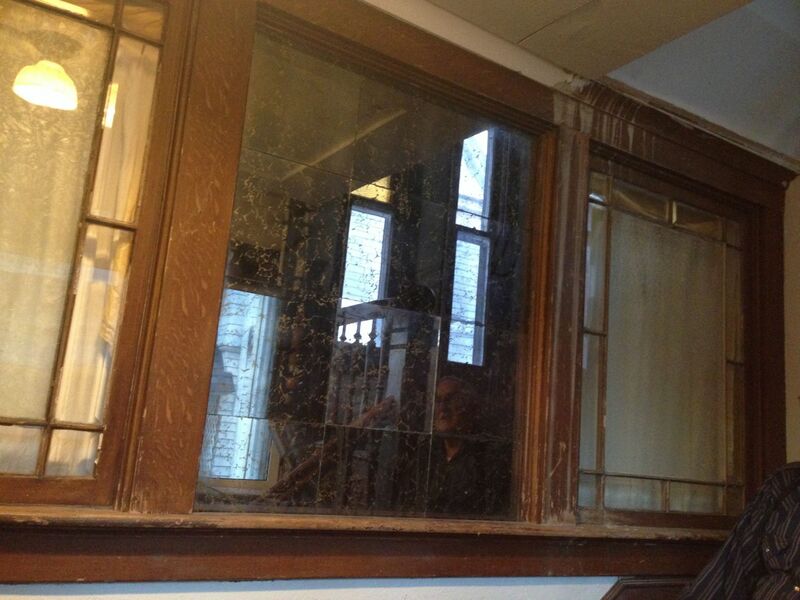 …there is a glass panel. This allows natural light to enter a space on the first-floor apartment. I am dying to see what is on the other side! Dying! 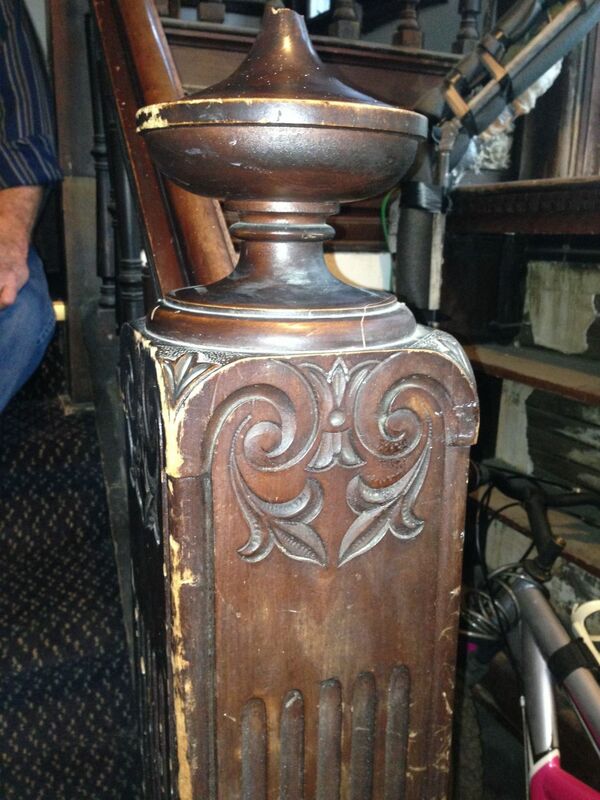 Originally though this was a second set of stair treads! As you step onto the second-floor, and turn back, you discover this elegant and unexpected (and fabulous!) second arch!!!!!!! What, I could not help wonder, did the rest of 613 look like inside? Sadly, because the three units are rented my curiosity will have to wait. I have added 613 Exchange to my Lust List. I would devote myself to its resurrection. I haven’t heard back yet. I’ll let you know if/when I do. 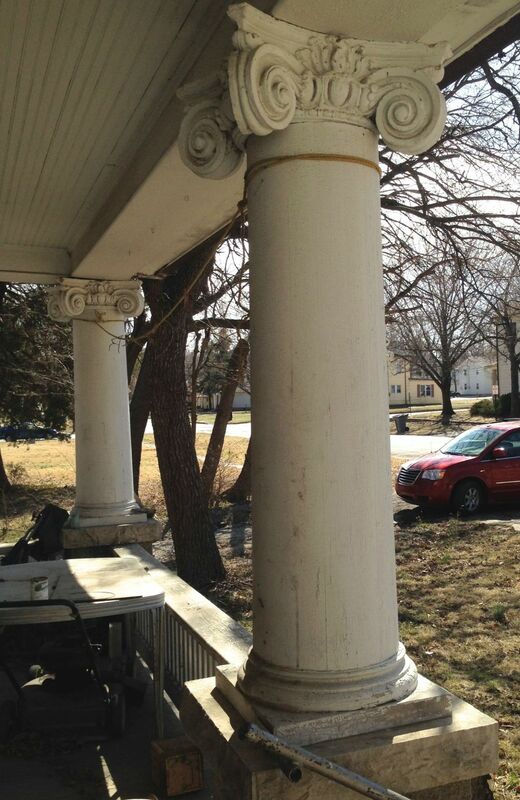 Ross, could you point me in the direction if the post where you discussed finding a missing a still insitu column on the porch of 614? Please and thank you.